Apple cider vinegar commonly known as cider vinegar or ACV is a type of vinegar made from cider or apple must and has a pale to medium amber color. Unpasteurized or organic ACV contains mother of vinegar, which has a cobweb-like appearance and can make the vinegar look slightly congealed. Apple cider vinegar is normally made by crushing apples and squeezing out the liquid. After that bacteria and yeast are added to the liquid to start the alcoholic fermentation process, and the sugars are turned into alcohol. In a second fermentation process, the alcohol is converted into vinegar by acetic acid-forming bacteria (acetobacter). Acetic acid and malic acid give vinegar its sour taste. Over the centuries, apple cider vinegar has been used for numerous purposes like making pickles, killing weeds, cleaning coffee makers, polishing armor, and dressing salads. Apple cider vinegar is also one of the most popular go-to ingredients in your kitchen, offering many natural health benefits. 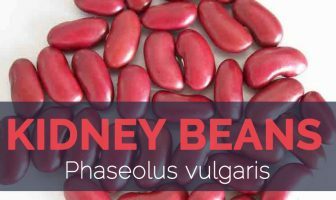 It is rich in minerals, like potassium, phosphorus, calcium, magnesium, and copper, as well as vitamins A, B1, B2, B6, C, and E, bioflavonoids, and pectin. Furthermore, due to its acetic acid content, apple cider vinegar helps your body absorb essential minerals from the foods you eat. Long ago, Hippocrates was known to use apple cider vinegar as a health tonic. Since that time, home remedy books and old wives’ tales have all suggested this vinegar as a curative. In 1958, Dr. Jarvis wrote a book about the health benefits offered in apple cider. According to his recommendations, users should mix apple cider vinegar with honey and take a tablespoon a day. By the 1970s, apple cider vinegar had risen in popularity again. After reading his book, supporters created a weight loss plan that’s key ingredient was apple cider vinegar. While the uses for white vinegar are abundant, apple cider vinegar has arguably even more applications. 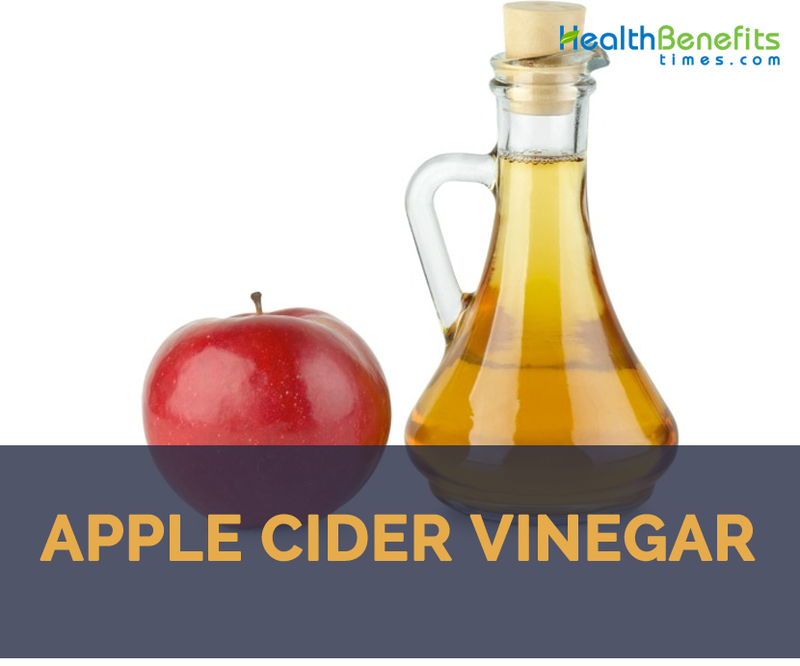 Its wide-ranging benefits include everything from curing hiccups to alleviating cold symptoms, and some people have turned to apple cider vinegar to help with health concerns including diabetes, cancer, heart problems, high cholesterol, and weight issues. Read on for more reasons to keep apple cider vinegar handy in your pantry. Apple cider vinegar is quite beneficial to soothe sunburn. Put 1 cup of apple cider vinegar in a lukewarm bath along with 1/4 cup of coconut oil and lavender essential oil to ease sunburnt skin. Vinegar helps to kill pathogens, including bacteria. It has traditionally been used for cleaning and disinfecting, treating nail fungus, lice, warts and ear infections. However, many of these applications have currently not been confirmed by research. Hiccups occur at some of the worst times and when they hit, it seems like they never go away. They are usually the cause of excess air in the digestive system, which your body is attempting to eliminate through muscular spasms. Luckily, a full teaspoon of apple cider vinegar is wonderful to alleviate this problem. It is possible that the strong acidic nature of apple cider vinegar helps to prevent the spasms that cause hiccups, which will help reduce the risk of getting these unwanted spasms. Consider this for a household remedy for unwanted hiccups. Main causes of acid reflux and heartburn are an imbalanced stomach pH and lack of enzymes and probiotics. Using apple cider vinegar is full of all of these nutrients. Adding 1 tbsp of apple cider vinegar to a cup of water and drinking it five minutes before meals help to cure acid reflux. However, elevated blood sugar can also be a problem in people who don’t have diabetes… it is supposed to be a major cause of ageing and numerous chronic diseases. Thus balanced blood sugar level is quite beneficial for all. The most effective method to do that is to avoid refined carbs and sugar, but apple cider vinegar may also have a powerful effect. Vinegar has been shown to have numerous benefits for insulin function and blood sugar levels. Improves insulin sensitivity during a high-carb meal by 19-34% and considerably lowers blood glucose and insulin responses. 2 tablespoons of apple cider vinegar before bedtime can reduce fasting blood sugars by 4%. Numerous other researches, in both rats and humans, show that vinegar can increase insulin sensitivity and suggestively lower blood sugar responses during meals. For these reasons, vinegar can be useful for people with diabetes, pre-diabetes, or those who want to keep their blood sugar levels low to normal for other reasons. Apple cider vinegar is quite beneficial as a natural teeth whitener. Take your finger and rub apple cider vinegar on your teeth for 1 minute. Then rinse mouth with water. The pH of apple cider vinegar help to remove stains from your teeth which helps naturally whiten the teeth. More than one in four women in America over the age of 65 has been identified with osteoporosis. To get this diagnosis means that they’ve lost 50 to 75 percent of the original bone material from their skeleton. This scary condition is expected to affect 200 million women worldwide – about one of every 10 women aged 60, one of every five women aged 70, and two of every five women aged 80. Obviously, preventing this disease before it effects your bones is key, and as ACV aids in the nutrient absorption of calcium, an essential mineral for preventing osteoporosis, it’s one of the best tools you can use to reduce your risk. By drinking it along with each meal, it will help to ensure proper calcium absorption to strengthen your bones. Dandruff is more than just a nuisance — it’s embarrassing! Salon sprays are costly, but with apple cider vinegar, your dandruff destroyer will cost only pennies per spray. Just mix equal parts (about 1/4 cup each) apple cider vinegar and water in a spray bottle. Spray onto your hair after shampoo, let sit for 15 minutes, and rinse. Use twice per week, and you should be flake free in no time. One theory recommends that the acidity in the vinegar makes it harder for the fungus that contributes to dandruff to grow on your scalp. Given that vinegar lowers blood sugar and insulin levels, it makes sense that it could help you lose weight. Several human researches suggest that vinegar can increase satiety, help you eat fewer calories and even lead to actual pounds lost on the scale. Vinegar along with high-carb meals can increase feelings of fullness and make people eat 200-275 fewer calories for the rest of the day. By reducing calorie intake, this should translate to reduced weight over time. Just adding or subtracting single foods or ingredients rarely has a visible effect on weight. It’s the entire diet/lifestyle that counts… you need to combine several effective methods to see results. Overall, it seems like apple cider vinegar may be beneficial as a weight loss aid, mainly by promoting satiety and lowering glucose and insulin levels. Make wonderful foot deodorizer wipes by pouring one cup apple cider vinegar over baby wipes. (Thick single-use-size paper towels will also work.) Soak the wipes overnight in the fridge, then store in a zip-lock bag to use as needed. The acids in the apple cider vinegar will modify the pH level of your skin, which fights off bacteria that cause smelly feet. Don’t be thrown off by the vinegar smell — it will disperse once it dries. Cardiovascular disease (heart disease and stroke) is currently the world’s biggest cause of death. Several computable biological factors are associated to either a decreased or increased risk of cardiovascular disease. Several of these “risk factors” have been shown to be improved by vinegar consumption… but all of the researches were done in rats. This rat research showed that apple cider vinegar can lower cholesterol and triglyceride levels. Apple cider vinegar may also contain the antioxidant chlorogenic acid, which has been shown to protect LDL cholesterol particles from becoming oxidized, a vital step in the heart disease process. Millions of people around the world fight with candida and yeast. The side effects can be bad breath, lack of energy, UTI’s and digestive issues. ACV consists of probiotics and a type of acid that encourages the growth of probiotics which help kill off candida. Remove sugar from your diet and consume 1 tbsp of apple cider vinegar 3x daily as part of a candida cleanse. Apple cider vinegar is a liver and lymphatic tonic which can help detox your body. It helps balance your body’s pH and encourages cardiovascular stimulation, bowel motility and lymphatic drainage. Cancer is one of the terrible diseases, considered by uncontrolled growth of cells. There is a lot of hype online about the anti-cancer effects of apple cider vinegar. Researches have shown that vinegar can kill cancer cells and shrink tumors. However, all of the studies on this were done in isolated cells in test tubes, or rats, which prove nothing about what happens in a living, breathing human. Furthermore, most of the studies were done on rice vinegar, not apple cider vinegar. That being said, some observational research have shown that vinegar ingestion is associated to decreased esophageal cancer in China, but increased bladder cancer in Serbia. Apple Cider vinegar consists of anti-bacterial properties and the balanced pH which make it a perfect household cleaning product. Fill a spray bottle with 50% water and 50% ACV then spray windows and counters for cleaning. Every workout warrior requires some seriously relief from achy muscles. Some recommend that acetic acid, a component in apple cider vinegar; help to soothe sore muscles whenever applied topically. While science doesn’t essentially back this up, we’d say it’s definitely worth using this over regular lotion (or Tiger Balm!) when our muscles are screaming for a rubdown. Leg cramps that come on at night are the worst aches around. Sometimes caused from a hard day at the gym or from dehydration, leg cramps can be one of the most painful feelings you experience. If you wake up in the middle of the night with achy legs due to cramping, consider having some apple cider vinegar since it consists of ample potassium, which is good for cramping symptoms. Blend one ounce of apple cider vinegar with a little honey and some warm water to cut those cramps out of your night. Anti-bacterial and anti-fungal compounds in apple cider vinegar make it a wonderful natural cure for skin and toenail fungus. Just rub on the area of fungus 2x daily. Also, using a mixture of coconut oil and oil of oregano is great for killing fungus. Bad bacteria and yeast are the main cause of body odor. The armpit can stay damp which also makes it a breeding ground for bad bacteria. Simply dabbing some apple cider vinegar on your fingers and running it into your armpit help to kill yeast and deactivate odors keeping you smelling fresh all day. Colder months of the year are responsible for increasing the risk of a sore throat. While there are several reasons a sore throat comes about, the truth is a sore throat is not very pleasant. Many people drink hot tea, honey, and eat lozenges to cure a sore throat, but an effective method to help eliminate a sore throat is to gargle with apple cider vinegar. Bacteria in the throat causing pain do not like the strong acid content of apple cider vinegar, which means they will die off in a hurry when you gargle with this. Use about two ounces of apple cider vinegar and two ounces of warm water and gargle once per hour for throat pain relief. Acne affects many younger adults, but the truth is acne can affect anyone at any time. There are handful products that are wonderful for destroying acne off your face, but the most effective way to eliminate acne is to kill the bacteria on your skin and prevent it from growing. Making use of little apple cider vinegar on your face can be a great way to kill the bacteria on your face to help prevent acne from growing. Use it like you normally would with any toner and watch the benefits just naturally improve your complexion. Try creating your own ACV-based tonic by mixing it with fruit and something sweet and letting it sit for a few days in the fridge. Try it with berries for added color and flavor for a fun probiotic drink! Try replacing ACV for balsamic in your salad dressings and mix it with healthy oils, herbs and spices. This is a great way to sneak in some additional health benefits. You can also buy pre-made dressings that use apple cider vinegar as one of the main ingredients. Another creative way to include apple cider vinegar into your diet is to use it as a tenderizer when you are cooking meat or poultry. Mix it with herbs and spices to create your own health-conscious marinade. If case you are having a party try adding ACV to your spiked cider or bloody mary mix. This can help counteract the negative effects of the alcohol and is a fun way to incorporate it into your day. If you don’t like any of these ideas, just try keeping it in the fridge and drink it with water and some lemon. At the very least you’ll get used to it and might even learn to like the taste. It’s definitely an acquired one. Rub apple cider vinegar onto your hands and feet to relieve the tired muscles. Pour 1 tablespoon of ACV into your tea and drink it before meals. The mixture motivates the digestive juices that aid food digestion. Mix apple cider vinegar with ginger and drink up to prevent indigestion. Mix together equal parts of apple cider vinegar and water and apply directly to your underarm using a cotton ball. Balance your skin’s pH, cut through grease, and tone your skin with a mixture of apple cider vinegar and water. ACV is used in salad dressings, marinades, vinaigrettes, food preservatives, and chutneys, among other things. Make a delicious three-bean salad with apple cider vinegar. A little apple cider vinegar adds flavor to low-calorie, healthy chicken soup. You can tenderize meat naturally — just add a tablespoon of vinegar per quarter pound of meat about 15 minutes before you begin cooking. Dilute vinegar in water and use the mixture to rinse off your hair to fight grease. Put 1/2 cup of ACV in your wash to soften and condition your clothes, towels, and bedding. Mix ACV and water in a one-to-one ratio. Put it in a spray bottle and spritz into your hair when you’re combing to detangle your hair. Place a cup of ACV in the back of the fridge, and leave it there overnight. This will eliminate any unpleasant smells. For smelly or mildewed clothes where detergent alone won’t cut it, use a spray bottle filled with a mix of water and apple cider vinegar. Or put ACV in with the dirty laundry. Pour some apple cider vinegar in the toilet bowl and let it sit overnight. This will get rid of unsightly marks and also remove the odor. Add a bit of apple cider vinegar to the dishwasher to prevent streaky glasses. Add a bit of vinegar next time you’re giving your pet a bath or else spray on diluted apple cider vinegar with a spray bottle. The scent is unpleasant to fleas, and will help keep them away from your cat or dog. Mix 1/4 cup of apple cider vinegar in with your bucket of soapy water before mopping. The ACV will help floors look polished and clean. Spray undiluted vinegar directly on the areas to remove Mold and Mildew from Sinks and Showers. For streak-free windows, mix apple cider vinegar with water. Spray on the glass and then wipe off for sparkling, streak-free glass. Reduce symptoms from a jellyfish sting by applying vinegar mixed with water directly to the area that was stung. Soak a cotton ball in ACV, and place it on top of the wart. Secure with a Band-Aid and leave it overnight. Does your dog love to chew your slippers? Gnaw on the rug or furniture? Try spraying ACV as a deterrent — pets hate the taste.